It has been an eventful and remarkable year for the Nigerian fashion industry. The industry now appears very competitive than before. Finding young Nigerian fashion designers who are making a huge difference always brings us so much delight. As the year finally comes to an end, BlackNBold Fashion House will be revealing its Top 10 Most Outstanding Young Designers of The Year 2016 with expert advice from top fashion editors in Nigeria. 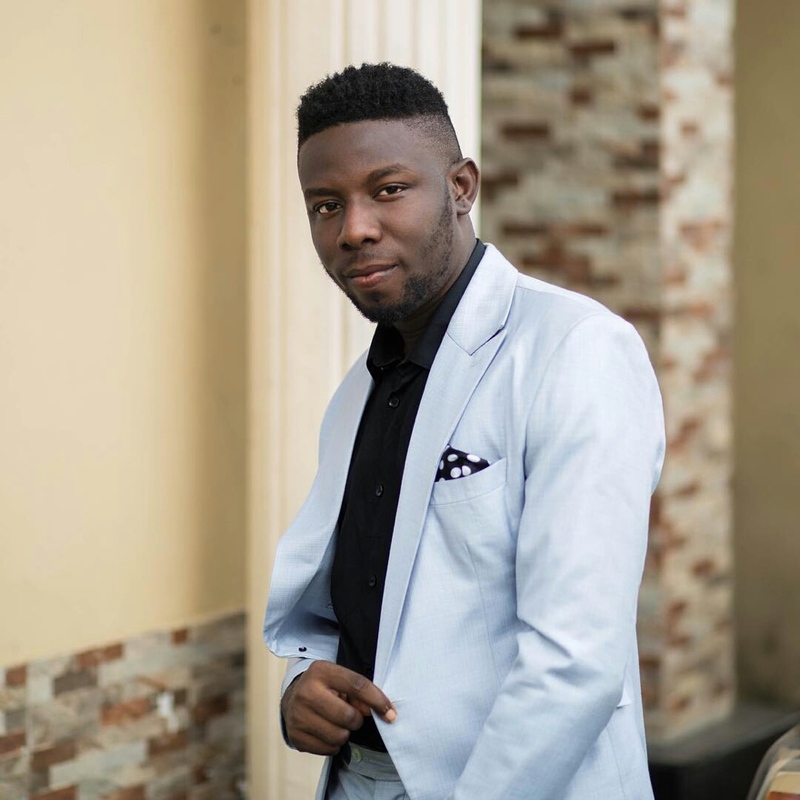 Ogugua Okonkwo is the Creative Director and founder of Style Temple, Abuja’s most prestigious and popular fashion brand. 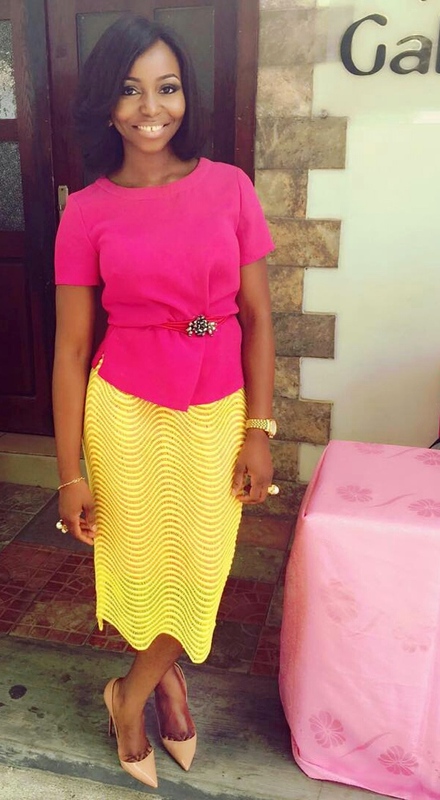 OG as she is fondly called, graduated from the University of Nigeria Nsukka in the year 2008 with a BSC degree in Medical Laboratory Science. She also has a certificate in Fashion Merchandising. Fashion started for her at a very young age. Her brand was launched in the year 2011 but got to the spotlight in the year 2015 after she clothed the former Director General of the Securities and Exchange Commission; Arunma Oteh, on her 50th birthday. In September, the label announced its presence in Lagos when it presented its new collection; “IPSEITY” which was published on various fashion blogs and magazines in Nigeria. She later went on to leave a remarkable impression after she wowed the audience at the Heineken Lagos Fashion and Design Week 2016. She was a nominee at The Future Awards this year and covered the November issue of This Day Style magazine. 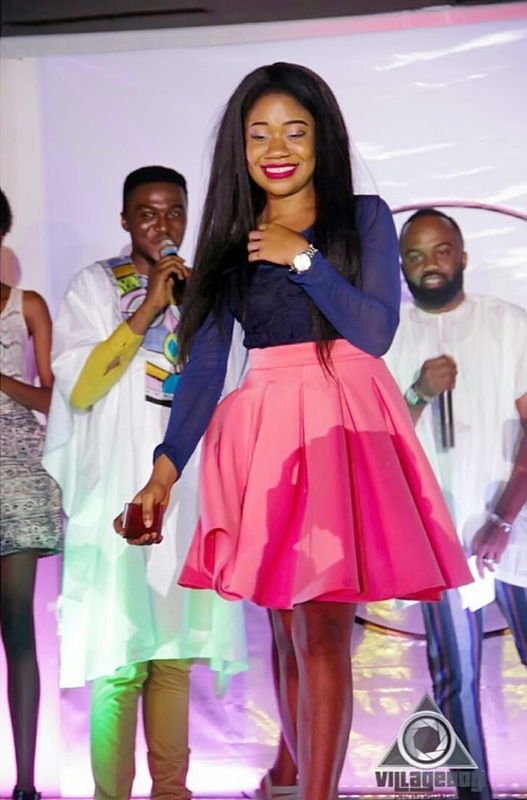 Some of her celebrity muses include: Toke Makinwa, Zainab Balogun and Stephanie Coker. Paola Sisiano is the Creative Director of the design label Sisiano, who was one of the finalists for the 2013 GTBank Lagos Fashion & Design Week Awards. The young designer marked his 28th birthday on the 13th of December 2016. Paolo is a multi-platform artist. 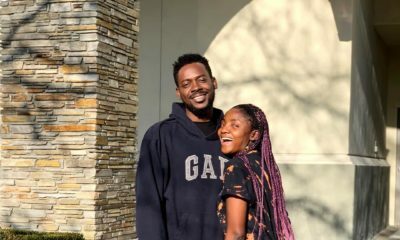 He is an accomplished dancer who has worked on several high profile Nigerian theatre musicals including ‘Saro,’ ‘Saro 2: The Musical’ and ‘Wakaa: The Musical’. He often mentions being inspired by his mom who was very fashionable and trendy. Paola was majorly involved in making costumes for dance production until his friends saw his designs and encouraged him to go into high fashion which he started properly in 2013. Vimbai, Ty Bello, Beverly Naya, Bolanle Olukanni are some of the celebrities who have rocked his outfits in the year 2016. Sandrah Tubobereni of Tubo is a young women-wear label designer, best known for her creativity in redesigning the traditional African bridal attires, chic prêt-à-porter fashion clothing, and distinctive haute couture pieces with amazing silhouette. She has a BSC degree in Economics from Madonna University and a MBA in Global Financial Services from Coventry University. 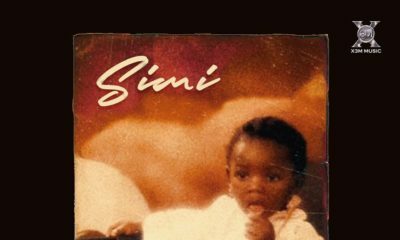 Her mom was a seamstress in a little shop in Port Harcourt where she grew up. She started sewing and designing as a child and impressively started making her primary school uniform herself. She came into the Nigerian fashion scene in late 2014 when she switched from a career in Finance and Business Development. Her spring/summer debut collection featured eye-popping colours and structured pieces which were showcased at the Africa Fashion Week Nigeria in July earlier this year. She was nominated for best female fashion designer at the ELOY Awards 2016 and fast rising female designer of the year at the Lagos Fashion Awards. Popular figures such as Tara Durotoye, Gbemi Olateru-Olagbegi, Mimi Onolaja, Layole Oyatogun, Chika Ike, Mocheda, Lala Akindoju Miss Vimbai, Dakore Akande to mention a few have been spotted this year in a Tubo outfit. Ayo Van Elmar is owned by Nigerian designer Ayo Elizabeth Olaogun. ‘AYO’ is African, ‘VAN’ is Dutch while ELMAR’ was coined from a Spanish word meaning ‘sea’… A fusion of where the brand is heading. She moved to Austria when she was 18 years old and came into the fashion designing industry in 2010. Her first collection “MAGIC SHIELDS” was released in the year 2012. 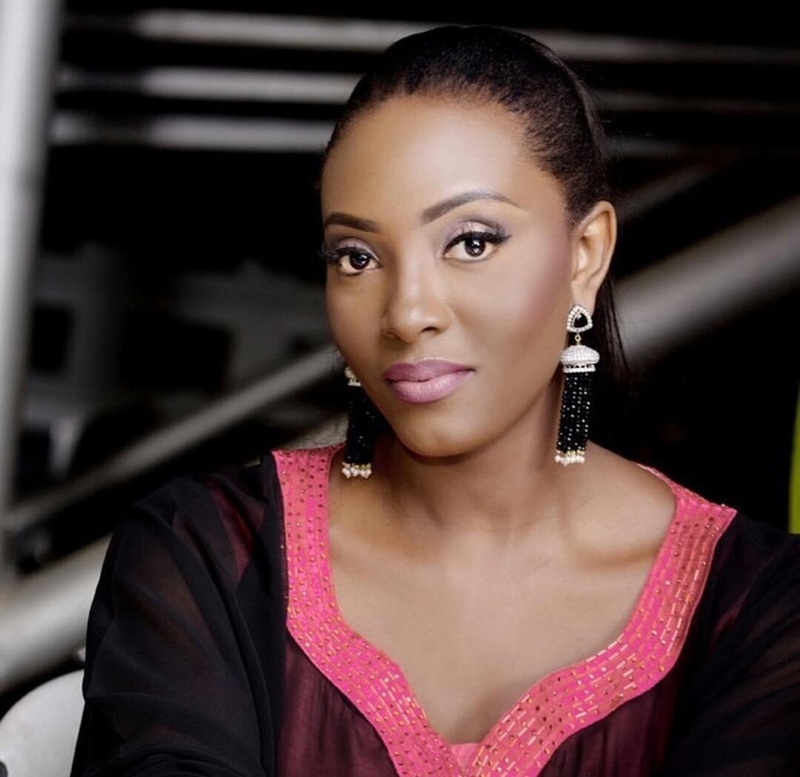 She is one of Nigeria’s most sought after designer with a lot of works under her belt. It has been a very successful year for Ayo from releasing her Spring/Summer 2016 collection “Fishbone” which was the talk of the town for a very long time to showcasing the “Elegant & Chic” collection at the ELOY Awards last month and opening her fashion cafe in the month of October at the Oriental hotel, opening doors to other designers to stock their collections. Popular Nigerian Nollywood celebrity actress and film maker, Funke Akindele was unveiled as the new face of the Ayo Van Elmar brand earlier this month. Motunrayo Jimoh is a graduate of the University of Lagos who got married to Abdul-Rasheed Umaru in 2012. 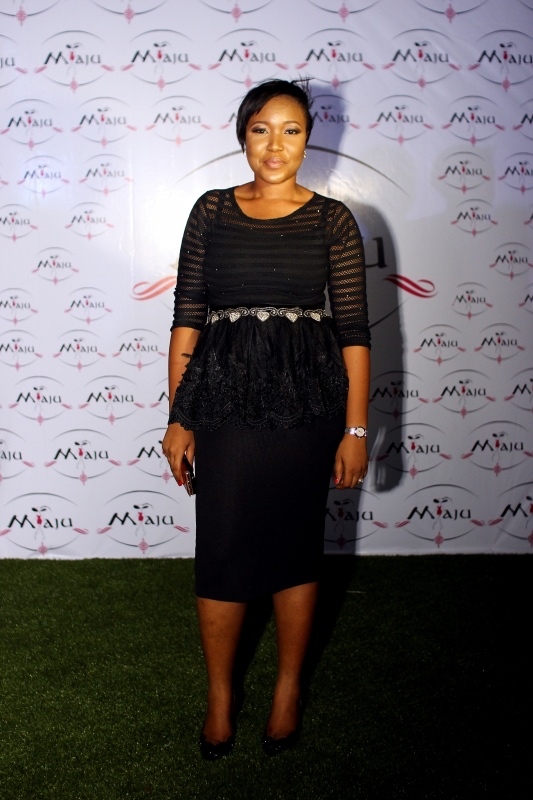 Maju’s creations are always upbeat with today’s fashion and some of her designs also carry a vintage look. She unveiled quite a number of campaigns this year from the “Sweet Sweet Summer” collection featuring Dedun Olobayo of StyleMeAfrica and Banke Su to the “Ember Edit” collection in September featuring ace models: Banke Su, Nikki Anyasi and Aduke Shitta Bey, the “Holiday Edit” collection featuring young fast rising star Powede Lawrence and international model Olamide Ogundele of Few models and the “Luxe Edit” collection featuring DMW first lady and fast-rising singer and performer, Lola Rae. Most of her designs have been worn several times by celebrities and fashion enthusiasts including Ini Dima-Okojie, Mimi Onolaja, Powede Lawrence, Lola Oj, Ozinna Anumudu, Toni Tones and more. Tokyo James is no doubt one designer that will completely dominate the African fashion scene in the coming years. This young creative head has worked so hard to become a force to reckon with in the creative and media industry. The British Nigerian menswear designer and Creative Director is also the Editor-in-Chief of Made Magazine and Creative Director for Access Bank’s online TV platform Accelerate TV. The Tokyo James fashion brand was born in Lagos, Nigeria when he relocated back to Nigeria. He was featured this year on African Voices on CNN talking about the business of fashion in Nigeria. 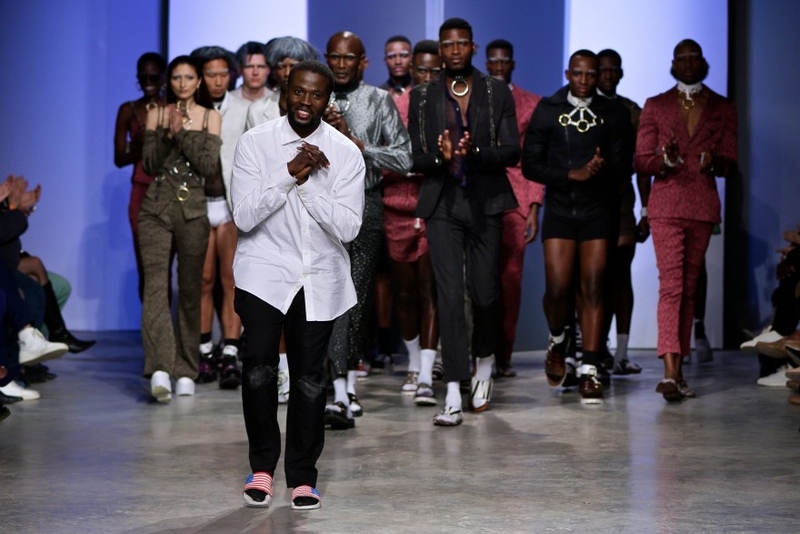 He also showcased his collections at the Glitz Africa Fashion Week, South African Menswear Week and at the Heineken Lagos Fashion and Design Week. Celebrities such as Patoranking, Ycee, Dimeji Alara, Adekunle Gold have been spotted this year wearing a Tokyo James outfit. He sure had a remarkable 2016. Derin Fabikun started her clothing outfit in 2009, at the age of 19. She’s a graduate of management from Covenant University. Designing for her started as a hobby. She has always had a passion for Fashion. Back in university she made outfits for herself, adding to already made dresses she had. Then it graduated to making tunics for her sisters, then friends and friends of friends. 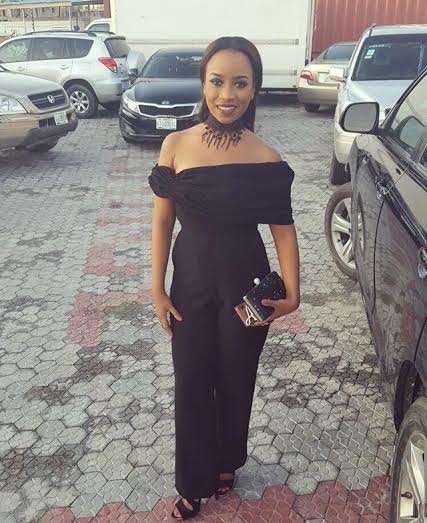 Since her entry into the scene with her elegant, unique and stylish pieces, her designs have been worn by a number of celebrities like Mimi Onalaja, Zina Anumudu, Bolanle Olukanni, Ini Dinma Okoji, Dodos Uvieghara and more. She was nominated this year at the ELOY awards for female designer of the year. Derin is known for her aesthetic designs that feature droopy arms, lace and unique mermaid gowns. She is truly a talented young lady. Emmanuel Okoro was on our list last year as one of the “Top 15 Emerging Designers of the Year 2016”. It is quite amazing to see how this young designer has grown over the last year and how he has managed to be on top of his game. His brand began making waves in 2013 but it wasn’t until 2014 we got to really see the creative designs with its debut collection aptly titled “the definition”. The collection would go on to define the very essence of the Emmy Kasbit designs. By 2015, their collection “FORTIS” was unveiled and it was to be the beginning of their widely acclaimed recognition especially among Nigerian entertainers notably media personality Uti Nwachukwu, Joseph Benjamin, Alex Ekubo and many more. Emmanuel opened the year in grand style with his spring/summer 2016 collection: “Disturbia” which remains the brand’s most idyllic presentation yet! In November he released the “Ties That Bind” collection for his Spring/Summer 2017 collection. 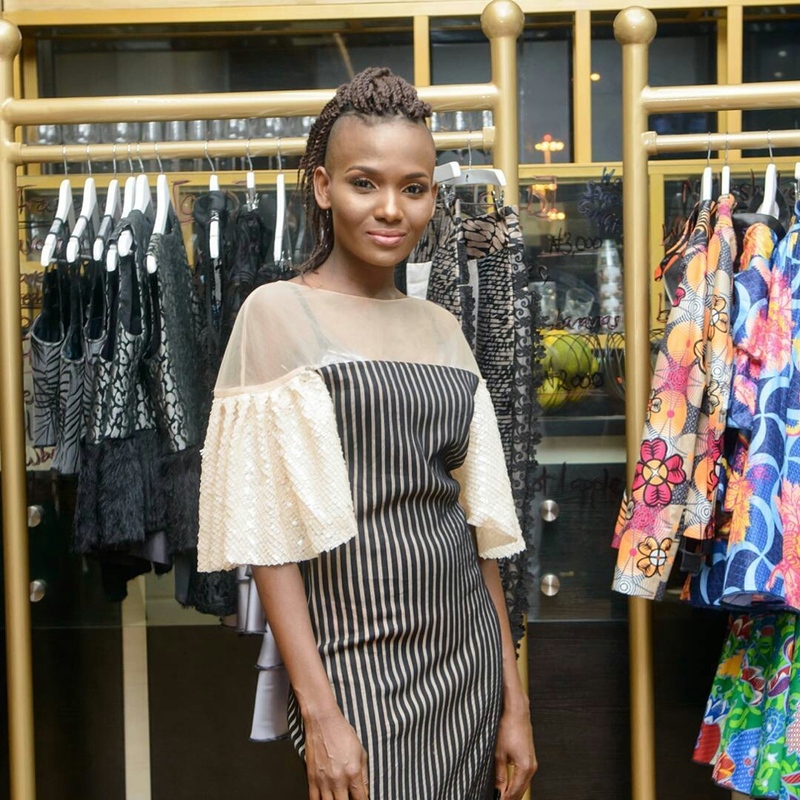 Notable celebrities such as Yemi Alade, Seyi Shay, Uti Nwachukwu, Munachi Abii, Omotola Jalade Ekeinde, Stephanie Coker, Denola Grey have been spotted this year wearing pieces from the designer. Aisha was long predicted as a designer to look out for in Nigeria. 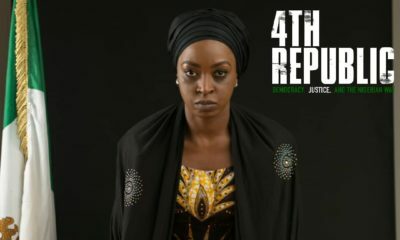 After her formal education at Ahmadu Bello University Zaria, she attended The Fashion Academy Abuja where she acquired professional skill in fashion designing. She started making outfits for her clients in the year 2010. She showcased her ready to wear collection; ROGUE at the 2016 edition of the Heineken Lagos Fashion & Design Week which received several applauds from the cheering crowd. The collection marries the designer’s long time love for red, her memories of sunsets and bonfires experienced on her many trips to Seychelles, the Caribbean, and the inspiring awe that was provoked by the girl in red to create a collection solely anchored on red; her favorite colour. She has styled notable international celebrities such as Bobby Valentino and South Africa’s Kgopedi Lilokoe among many others. Rosie is a new comer in the fashion industry but she has been outstanding this year. She graduated from the University of Calabar with a bachelor’s degree in Accounting in 2013 and went on to study fashion at the OSC College of Fashion. She emerged as the most creative designer at the 2016 edition of the Wema Bank sponsored Nigerian Student Fashion & Design Week, regarded as the largest gathering of student designers in Nigeria with over 30 showcasing emerging designers. She later went on to make the top 10 finalists of the Heineken Lagos Fashion and Design Week Fashion Focus contest. She has styled various celebrities in Nigeria and we look forward to seeing what she has in store for us in 2017. Unfortunately I have not worn any of Aisha Abubakar’s designs but I would certain;ly be interested if she wanted to design something for me. What about Sunnyrose? She is good too.